(Nanowerk News) I’ve lost count of the number of times I’ve read that the “first Earth-like exoplanet” has been discovered. With nearly 2000 exoplanets found to date, it is no wonder so many of them will resemble our planet in some way. But which exoplanets are similar enough to the Earth that they could actually be habitable? 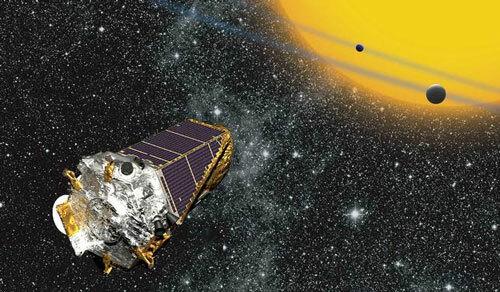 Many of the claims about the habitability of exoplanets are greatly exaggerated. The exoplanet GJ1132b was just announced by the MEarth project, as “arguably the most important planet ever found outside the solar system”. 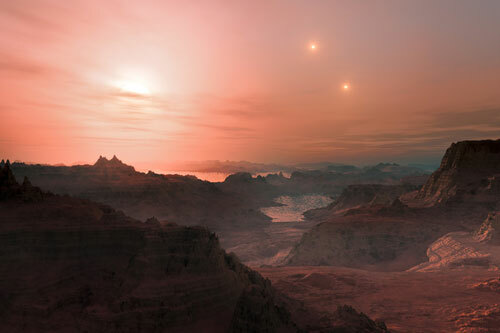 While it’s one of the nearest exoplanets yet discovered, it’s hardly Earth-like – situated close to its host star with a scalding surface temperature of several hundred degrees Celsius. Similarly, Tau Ceti e and Kepler 186f have both been touted as Earth twins, but there are other exoplanets out there that are rather more Earth-like. A good way to estimate how habitable a planet is the Earth Similarity Index (ESI). This number is calculated from the exoplanet’s radius, density, surface temperature and escape velocity, which is the minimum speed needed to break free from the planet’s surface. For many exoplanets, we don’t have all these measurements, so some of them have to be estimated based on the best available information. The ESI ranges from 0 to 1 and anything with an ESI above 0.8 may be considered “Earth-like”. In our solar system, Mars scores 0.64 (the same as Kepler 186f) while Venus comes in at 0.78 (the same as Tau Ceti e). Here are the five top candidates for an Earth-twin, based on their ESI values. Kepler 438b (ESI=0.88) has the highest ESI of any exoplanet known. Discovered in 2015 around a red dwarf star, significantly smaller and cooler than our sun, it has a radius only 12% larger than Earth’s. It orbits the star, which is 470 light years from Earth, every 35 days and is in its habitable zone, the region around a star which is neither too hot nor too cold for orbiting planets to support liquid water on the surface. As with other discoveries by Kepler around faint stars, the planet’s mass has not been measured, but if its composition is rocky, it may be only 1.4 times that of the Earth’s with a surface temperature between 0°C and 60°C. However, the ESI is not a foolproof method for classifying the Earth-like nature of a planet. It has recently been found that Kepler 438b’s host star regularly sends out powerful flares of radiation, which may render the planet uninhabitable after all. Gliese 667Cc (ESI=0.85) was discovered in 2011 orbiting a red dwarf in the Gliese 667 triple star system, just 24 light years away. It was found by the radial velocity method, which is a measure of the small movement a star makes as it responds to the gravitational tug of the planet. The planet’s mass has been estimated at 3.8 times the Earth’s, but we don’t know its size. This is because the planet does not pass in front of the star, which would allow us to measure the planet’s radius. With an orbital period of 28 days, it sits in the habitable zone of this cool star, with a possible surface temperature of around 5°C. Kepler 442b(ESI=0.84) is a planet 1.3 times the size of the Earth discovered in 2015. It is orbiting a star cooler than the sun, about 1100 light years away. Its orbital period of 112 days places it in its star’s habitable zone, but with a surface temperature that could be as low as -40°C. However, by comparison, the temperature on Mars can be -125°C near its poles in the winter. Once again, the exoplanet’s mass is not known, but if it has a rocky composition, it may be only 2.3 times the mass of the Earth. These two planets (ESI=0.83 & 0.67) were discovered in 2013 with the Kepler telescope, which spotted their transits in front of their host star. This star, located about 1200 light years away from us, is somewhat cooler than the sun. With planetary radii of 1.6 and 1.4 times that of the Earth respectively, their orbital periods of 122 and 267 days mean that they both fall within the star’s habitable zone. As with many other planets discovered by Kepler, their masses have not been measured, but are estimated at over 30 times the mass of the Earth in each case. The temperatures of each could permit liquid water to exist on their surfaces, depending on their atmospheric composition. Kepler 452b (ESI=0.83) was discovered in 2015 and was the first potentially Earth-like planet orbiting in the habitable zone of a star similar to our Sun. The planet’s radius is 1.6 times that of the Earth and it takes 385 days to orbit its star, which is 1400 light years away. Because the star is too faint to measure its movement due to the gravitational tug by Kepler 452b, the planet’s mass is unknown. However it has been predicted to be at least five times that of the Earth and the planet’s surface temperature is estimated between -20°C and +10°C. As we have seen, even the most Earth-like of these planets may not be able to support life due to the activity of its star, which can be very different to our sun. Others have a size or temperature that is slightly on the extreme side. But given the rate of exoplanet discovery, it is not impossible that we will detect a planet that truly has the same mass and size as the Earth and is in a similar orbit around a sun-like star in the next decade. If not, ESA’s PLATO spacecraft, due for launch in 2024, will certainly have a good chance.